When I first saw Dr. Licari, I was suffering with numbness in my hands and feet with pain everywhere in my body. 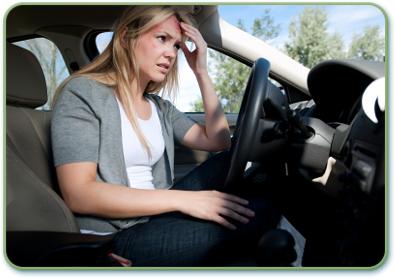 I had been in a car wreck and was scared to seek out treatment. I wanted to avoid steroids, MRIs, and surgery at all cost. A couple of weeks after my accident I finally decided to try chiropractic. I had called a local chiropractor’s office but the receptionist was rude, so I called Licari Family Chiropractic. When Peter answered the phone he was very nice, and calming as he set my first appointment with Dr. Licari. Since that day I have been very pleased with my care- I don’t hurt anymore and I can finally feel my hands and feet again! Now that I’m feeling better I can tend to and lift my children, and perform my daily duties without strain. Once I saw what chiropractic could do to get my health back, I decided that it was also important for my two children to receive care with Dr. Licari. I recommend Licari Family Chiropractic to anyone looking for quality chiropractic care and an office where they treat you like family. When I first saw Dr. Licari I was in a lot of pain from the top of my neck to the bottom of my spine and all over my body. I had been suffering with this pain for about 7 months as a result of a fall. My lower back was also injured 19 years ago and I have been diagnosed with fibromyalgia. For many months I tried to deal with the pain by taking medication, I had seen 3 chiropractors, 2 physical therapists (for 3 months each) and an orthopedic surgeon. Throughout treatment the staff has been very nice and eager to work with me regarding appointment times and whatever else they can help with. What I like most about my care is how comfortable the treatment is and I have been very pleased with everything. My body is responding well to the adjustments and getting in line the way it should be. Most of my pain is gone- I can stand straighter and even breathe much easier. I can’t say enough good things about the staff and the techniques and therapies they use. I would whole heartedly recommend seeing Dr. Licari. For years I had been having pain in the lower back that got more severe when I stood for long periods of time. It hurt so bad that it caused me to drop out of choir. I had been to every kind of doctor known to man, from orthopedic to chiropractic (at least 5 others). Throughout my treatment, I was treated with respect and both Dr. Licari and Peter exhibited a lot of patience. One of the aspects I liked most about my care is how precise Dr. Licari is in her treatment, and how she takes the time to make sure treatment is performed correctly. Thanks to Dr. Licari my back is feeling much better and I am able to sing in choir once again! It just goes to show you that even if you’ve tried other chiropractors before with poor results, Dr. Licari can help you like she’s helped me. 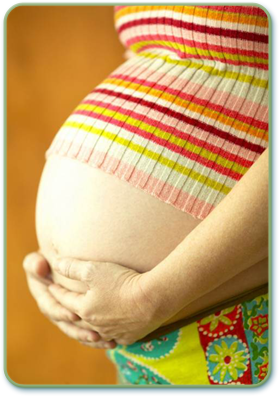 I had been to Chiropractors with each of my prior pregnancies, however, this pregnancy was different. I was having severe lower back pain. I was having difficulty sitting, walking, getting up and down, and even playing with my young children. I was suffering for about 4 to 6 months, with no relief. Since seeing Dr. Licari, I have seen significant decreases in pain and discomfort. I have seen an increase in function and the ability to perform tasks that previously caused me a lot of pain. I am even able to get on the floor and play with my children again! I began experiencing results after my very first adjustment. I would and have recommended Dr. Licari to anyone suffering from chronic pain. I can remember dealing with pain all the way back to being 9 years old. I am still fairly young, so, I can honestly say that I am very happy that I had found Dr. Licari when I did. That I was proactive with my pain management and found help, and received results. I had been suffering with Scoliosis and Fibromyalgia for a very long time when I came to Licari Family Chiropractic. I had pain shooting from my neck all the way to my tailbone! I am in my 20’s with spinal degeneration, a hyper extended lumbar region, and a very straight neck. Since coming to Dr. Licari, my neck is curving at a very fast rate, my hyper-extension is relaxing, and my spinal degeneration has stopped progressing. If it were not for Dr. Licari, I believe the continuation of my problems would have been crippling, both physically and emotionally. Now I can live my life more fully and my husband, family, and I are forever grateful! I have always loved treatments that are all natural and painless; therefore, I was drawn to upper cervical care. I had been suffering with lower back, shoulder, leg and foot pain for at least 2 years. I had even started to develop burning and itching in my right eye the month before I saw Dr. Licari. Licari Family Chiropractic was exactly what I was looking for to heal my aches and pains! Dr. Licari is professional and thorough in explaining your health and possible solutions. The staff and the Doctor are all very friendly and I always feel comfortable explaining anything that is going on with me that can affect my health. The only experience I have had that has been negative, was the health insurance matters. It was very confusing and frustrating, but everything worked out and I am happy to be receiving the care that my son and I deserve! My results have been great. I feel healthier all around. I have noticed my energy level during the day has increased and I am sleeping much better at night. I am very happy that I found Licari Family Chiropractic, and that the treatments have helped me so much. If anyone wants great health, I always recommend upper cervical care with Dr. Licari. I started with lower back pain about 5 years ago that I had just self-treated with Advil or over the counter pain medicines. I began to experience very sudden and intense pain in my hip, which prompted me to seek help. I had been treated by a Chiropractor 3 years ago for the lower back pain, but the treatment was not successful, so I was very skeptical when I came to Licari Family Chiropractic. At first, my skepticism increased, due to wait times and the approach that Dr. Licari uses. She practices a technique that I had never experienced before. All of my doubts faded fast! Dr. Licari is worth any amount of time and her technique has improved my condition tremendously! My back has not felt this good in years. I am even sleeping better and I have a lot more energy, both are surprise bonuses! After just a few visits, I was such a believer in Chiropractic I was already handing out cards to my friends and family. Definitely try Licari Family Chiropractic. One very long day, I woke up with an extremely stiff neck, I was pretty much immobilized. The pain was so severe I had to turn my entire body just to look to the side; I was in tears. I called Dr. Licari and she fit me into her busy schedule. Dr. Licari had me on therapy, and then she adjusted and massaged my neck, and then had me do more therapy. She was very persistent, and worked on my neck until the stabbing pain was completely gone! I cannot say enough about Dr. Licari and her staff! They treated me with such compassion and attentiveness, which alone made me feel better. She is a very professional and kind Doctor that honestly cares about your entire health. I have nothing negative to say about Licari Family Chiropractic, I loved everything! I would recommend Dr. Licari to any patient of any age! My neck pain was so severe I could not even pull my hair back. I hadn’t been able to go to the hair salon because the sink and the combing of my hair hurt so badly. I felt as if my brain was not getting enough oxygen because of the amount of pressure on my neck and head, which also caused intense headaches. My brother had referred me to Licari Family Chiropractic because he had excellent results with Upper Cervical Chiropractic. From the moment I came into Dr. Licari’s office the staff was extremely polite and kind. They have always remained professional and overall my experience has been awesome. I had tried several other relievers, such as, over the counter medicine and anti-inflammatory prescriptions, but I had experienced no relief. I have thoroughly enjoyed how the adjustments have helped my quality of life. I am now able to pull my hair back, go to the salon, and stay up and active. I have been able to go on vacation with my family and not have to worry about the stress of my pain. I have and will continue to refer people to Licari Family Chiropractic. People deserve to know that there are other options and that they can be free from pain. Suffering for 8 long excruciating years, was enough for me! I had been having terrible ankle and foot cramps, along with lower back pain. The foot cramps were so severe they would twist my feet sideways and then shoot straight up the front of my leg! I cannot begin to explain how painful this was. Licari Family Chiropractic could not have come at a better time for me. In those long years, I had seen other Chiropractors for adjustments and treatment. I had gone as long as 6 months with a chiropractor and had no relief. I had even tried a medicine called Quinine, used to help with leg cramps, I was still disappointed. I felt like this pain would never get any better, until I found Dr. Licari. I had found Licari Family Chiropractic through my massage therapist, and I am thankful for her help. Because of Dr. Licari, I have finally found relief from the pain I thought would be forever. The type of treatment I received was not only effective, but it was also fast. I really liked not having to be at the Doctors office for long periods of time. There are many things I have enjoyed about Dr. Licari’s office, her staff is always amazing! They have always treated me with the best care that I truly appreciate. My only downfall with this office: the ice packs! They are so cold I literally screamed the first time I had to do them for therapy! However, they really do help! Licari Family Chiropractic is a life saver! I no longer have ANY foot or ankle cramps, and my lower back pain is very minimal! Not only have I experienced relief with my chief complaints, but as a bonus, I have not been sick or have had a cold once since starting my care with Licari Family Chiropractic! I will always recommend Dr. Licari whenever I get the chance! I try to impress upon others how great this office is. Dr. Licari has been such a blessing in my life! When I first came to Dr. Licari I explained I had soreness and pain in my lower back and burning in my hip and left calf muscle. I have suffered for 7 years with this condition. I have taken several medications that only seemed to mask the problem. As soon as the prescription wore off, my pain and soreness would be back again. I tried Acupuncture, Physical Therapy, I had injections in my back, and I had seen at least 5 Chiropractors. The results would be O.K. for a few hours, and the pain would be back. Dr. Licari’s office was very professional, kind and pleasant. Everyone at Licari Family Chiropractic really cares about you and you feel like you are family. Dr. Licari treats you as if you are her only patient. They ensure you get the answers you need to any questions you may have, plus, they are always truthful. There is absolutely nothing not to like about this office. I honestly did not think I would be cured. The type of Chiropractic Dr. Licari practices, really does work! I continued to get better with each session, I noticed the pain begin to lessen, and the burning was completely gone. I now have more good days than bad and I am honestly afraid to stop treatment because I know I am doing so well. My spirits are high and that is where they will stay! I would recommend Licari Family Chiropractic to anyone! It really and truly works! I was ready to give up and live with the pain and suffering, until a friend referred me to Dr. Licari. I knew I had to try something different. Everything is excellent, I am very happy to tell everyone I know about the care and kindness you will receive from Dr. Licari’s office! I had never been to a chiropractor before and I was very skeptical. I had been to GI physicians, Neurologists, and Orthopedic physicians, with no diagnosis, before I finally decided to try an alternative. I had been suffering with upper back aches, pain in my right shoulder and arm, upper digestive issues, and frequent headaches. This pain had continued on for several years. When it had finally reached over a year with significantly increasing pain, I went to Licari Family Chiropractic. My experience with Dr. Licari’s office was as if we were family. The staff was courteous, accommodating, and lovely. The staff reflected the care as well. I felt relief for the first time in years. My results were amazing! My posture and sleep have both improved dramatically. I rarely have headaches, back aches, or arm pain. And oddly enough, my digestive problems have completely disappeared! I have to say, Chiropractic worked for me! I followed all of the instructions given to me, and they worked! I have nothing but great things to say about Dr. Licari and her staff. My only complaint would be the hour drive each way, but I can honestly say, it was well worth it! I would recommend Licari Family Chiropractic to anyone! I had been suffering for years with pains that seemed to be controlling my life, but, for the last 3; I was getting progressively worse. I was beyond over the sciatic pain, the stiffness and swelling in my neck and shoulders, the numbness in my elbows, and the TMJ. All of these issues were causing me to not sleep; therefore, I was left feeling even more uncomfortable. I needed help when I came to Licari Family Chiropractic. After being to a physical therapist and a different Chiropractor, I was hoping Dr. Licari’s office would be different. After learning the type of Chiropractic that Dr. Licari practices, I was skeptical but also hoping for some relief. My first visit, I was very curious to see how the Doctor would react to all of the questions and problems I had; I was impressed! The staff was very polite and accommodating, and I have always felt like they really cared about my health and well-being. I thoroughly appreciated the comprehensive exam; Dr. Licari noted every single thing I had a complaint about and explained everything to me in great detail. My pain, stiffness, numbness, and swelling are almost completely gone. I am now able to focus on things other than my pain and I cannot explain how amazing it is to have your joy back! For the first time in a very long time I feel like my skeleton is working with me, not against me! I would definitely recommend Licari Family Chiropractic to anyone, so that others can experience better health!